I downloaded this onto my Kindle as soon as I’d finished Allison Hewitt is trapped. I really enjoyed that book and wanted to read more by the author. 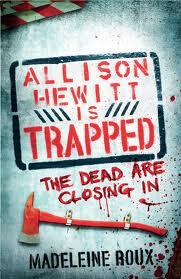 Here’s my review – Allison Hewitt is Trapped. I’ll tell you what, this book didn’t disappoint. It’s the same zombie apocalypse but with different characters. Sadie isn’t Allison, but she does aspire to Allison’s story. Due to the blog Allison wrote in the fist book, she’s a bit of an underground celebrity. She doesn’t appear in this book though. This is Sadie’s story and about the people around her and the people she meets on her own story. 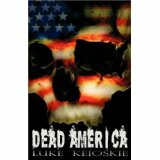 This story ends up also being a bit of a whodunnit mystery as well as a zombie novel. 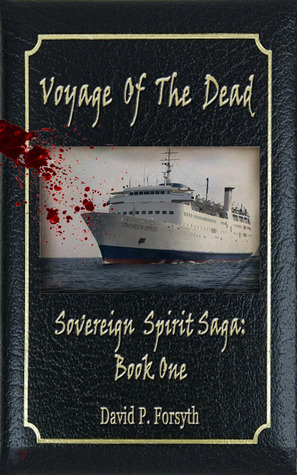 There’s not as much zombie action as most zombie books but the series of events that happens on the island and then trying to unravel what’s happening makes for a very good read. This is almost a standalone book too and not exactly a sequel to the first book. There is the occasional nod to the first book. I really enjoyed it. I liked the new characters. All with their own backgrounds and secrets. 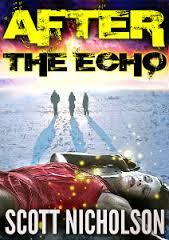 I liked the way the story unravelled in the whodunnit style too. I really hope there will be another book in the ‘series’! This is a cracking book! It cropped up in my suggested read on Amazon and the title of the book really pulled me in to have a read of the blurb and the reviews. I do love a quirky title! I normally try and seek out the unpublished authors and quite like a bargain on price. Well this wasn’t on offer or anything but something about it just made me want to grab it. As I said on the opening sentence, it’s a cracking book. The zombie apocalypse happens and completely ordinary Allison ends up trapped in the bookstore where she works part-time. She’s trapped in the employee break room with her boss, some colleagues and some customers. They have security cameras so can see a little of what’s going on outside. They have some food, but all snacks and pop (soda to American readers). What Allison does have though is power and an internet connection. To hep keep her sanity she starts to blog. The story is written in a series of blogs, which work really well as chapters. Each blog entry also contains comments from her followers which gives an insight into what is happening around the world and outside the confines of Allison’s break room. Allison is a brilliant character and you find her starting to take control and being the one the decided to venture out for food. She gels with some of the other characters but some of them are still just colleagues. If I write much more about the storyline then I’ll start to give spoilers and I really don’t want to do that. There does come a point though where they need to look at moving from the safety, and the confines, of the bookstore. Much of the book focusses on this. It develops really well, especially Allison’s character. Things don;t go smoothly and sometimes the good guys don’t make it…..
Allison, hopefully with her beloved axe, is just the perosn I’d want to be trapped with in a zombie apocalypse! 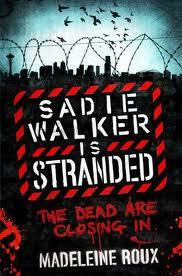 As soon as I finished it, I looked for other books by the author and found Sadie Walker is Stranded, which I downloaded immediately. I’ve already finished it so a review of that will follow shortly…. 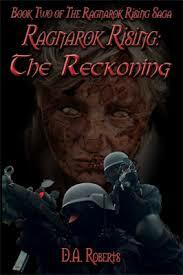 This book was shortlisted for the Zombie book for April, but Tankbread got there instead. Well, I’ve already read Tankbread, and enjoyed it, so I started to check out the other books. This one sounded OK and was on Amazon Prime, so I grabbed it. It’s not exactly what I expected from the blurb on Amazon. I expected another standard zombie adventure, with the usual characters and lots of guns. What I got was something quite refreshing. It started like a 1950s horror film. Set int the graveyard, with bodies rising form the grave. It really had the atmosphere of something like The Thing, or Invasion of the Bodysnatchers. Then you jump to the truck stop. Suddenly I felt like I was in a good old 80s film, with a mixed bunch of characters, including a load of just finished high types. I’ve got to admit I did a little internal groan as I wasn’t wondering whether this was going to be an 80s slasher movie… “don’t go into the bathroom on your own”. It’s a great book and keeps that interesting mix of feeling like a 50s story crossed with the 80s more graphic story. The monsters don’t stay hidden until the last scene, and there’s plenty of blood and gore! Great mix of characters too. Lots of people stepping and doing their bit and of course a couple of idiots that you kind of hope might die quite early and quite horribly (I’m trying not to give away any spoilers here). Also as a UK lass, it’s quite refreshing for me to read a zombie book that isn’t packed to the high teeth with guns. These guys have to deal with some pretty fast and strong zombies without the usual US firepower. Quite cool too that people do get injured and do struggle. In a lot of books the heroes get into all sorts of trouble, but never get any zombie-related injuries. These guys get hurt. It’s a fab read and I found I couldn’t put it down. I liked the characters and they developed pretty quickly without the usual splurge of back story. Pick it up and give it a read – it’s a real change from a lot of the books out there! In a sentence – Sam Spade meets zombies! I got a good deal on the this – I got it on the Amazon Lending Library. It had some interesting reviews and was basically my free book for the month. It reads like a Sam Spade old style crime story, with a smattering of film noir. Crime novels aren’t really my cup of tea but this sort of worked. It’s also a more unusual storyline. The zombies aren’t brain eating, shuffling monsters. They are not much different to the living, except they are dead. Faraday is a private investigator and an ex-cop. He’s also living. He’s called in to investigate a couple of cases and things start to intertwine and get complicated. He’s a wonderfully cynical character and a little down on his luck. His wife ran off with his best mate and partner and there’s clearly something else that happened and that’s why he left the force. It’s not a typical zombie story. Like I said earlier, these zombies don’t really behave like your standard zombies. They exist alongside the living, but more like second class citizens. They even have a lower minimum wage as they aren’t deemed to need the same things as the living workers. They do all the jobs no=one else wants to and also they are undercutting the living in other jobs due to that lower minimum wage. SO, as you can expect there a real undercurrent of bad feeling between the living and the dead. That runs through the whole story. If I went into anymore, then I’d start to give away some spoilers. Suffice to say, it’s a quirky story and refreshing in that it doesn’t follow the usual standard zombie stereotypes. The characters are also and interesting bunch with bits of back story peppered throughout the pages. There’s are even zombie crime lords. You find yourself piecing everything together as you go along the finale. It’s well worth the read. And it’s something a little different. I read book one on a recommendation and actually enjoyed it. I’d found it a bit stilted at the start and thought it had a bit of an obsession with describing guns and ammo, bt there was none of that in this book. It starts right where the other book left off. Wylie is at the dock with his dog, Odin. He’s surrounded by zombies left over from the explosion at the end of the last book. He needs to find his way back to the jail and to his family. His journey back to the jail is only part of the story though. There is another group in the city, the Freemen, and they don;t want to share. A large part of the book is around the fight with these guys. It’s a little more ‘Mad Max’ with these guys but it works really well. There’s also a few Rambo-syle moment with Wylie. He’s a really good character and grows even more in this book. His relationship with Spec-4 still really works, and stays on that professional/friend level. I liked the addition of the new characters in this book. They do give this book a different edge to the last book as there are more military personnel in it. I like the fact that strong women characters are still built into the storyline as nothing out of the ordinary. I did find all the extra characters a little confusing though and did get some of them mixed up. I wasn’t too sure about Wylie’s wife either as he stock position in the book seemed to be not being pleased as he was off on another mission but passively accepting it. Actually that worked well towards the end of the book when she stepped up – don;t worry I’m not going to give you any spoilers! This time the book ended at a better point. Not the huge cliffhanger that the first one ended on, but still left me thinking there’s more legs in this series. I think there’s a new one out in the summer – so keep your eyes posted! !